Do You Want $25 to Help Celebrate the One You Love? What do you think of the new Pinterest based giveaways? Do you love them? Hate them? Or just ignore them? I think they are pretty cool myself. (If you can't tell by all the one's I've been sharing lately.) Pinterest is probably one of my most favorite things in the history of ever, so to be able to have the extra benefit of possibly winning some extra cash makes me feel like I'm actually doing something wonderful with my Pinterest time. Here's another great Pinterest based giveaway from Guidecentral. 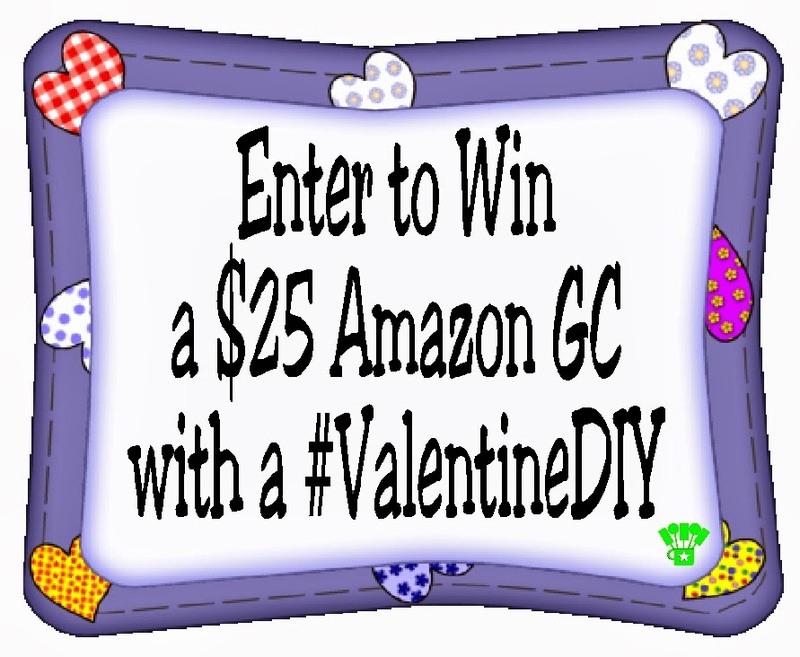 For a chance to win a $25 Amazon Gift Certificate, you need to go HERE to enter the contest. Follow Guidecentral's board Valentine's Day DIY on Pinterest. Then it's a simple manner of following Guidecentral's Valentine's DIY board. And pinning an amazing Valentine's idea (You're doing that anyway this time of year, aren't you? I know I am!) Use the hashtag #ValentinesDIY on your pin and share your pin with the rest of us on the sweepstakes page HERE. And look at some of the cool ideas you can pin! Pretty awesome to get some great last minute Valentine's ideas and possibly win $25 to celebrate the one you love.